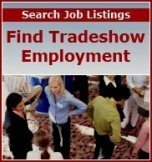 This trade show management article serves as a primer for new event planners and trade show personnel. So, you want to organize your first trade show… but where do you start? Without the right preparation and resources, a trade show can quickly become a marketing and logistical nightmare. Yet, the good news is that you can proactively manage for success. With thoughtful planning and an organized approach, you can host a successful event that benefits your organization, vendors and attendees. The primary goal of a trade show is to connect buyers and sellers and, as a result, help exhibitors achieve revenue goals from show participation. The challenge lies in incorporating all of the elements required to organize a successful event. From selecting the right time and place for a trade show to effectively marketing it, there are several components that go into successful trade show management. First, pick a location where you’d like to host your trade show. Which city do you think would attract the most attendees? Select a location that’s convenient for both exhibitors and attendees. Additional factors to consider when choosing a location include the weather, transportation, city appeal and the availability of event facilities. Avoid hosting a trade show on a holiday or special event weekend. Additionally, consider what other conferences and trade shows are being held around the same time. Unless you hope to leverage traffic from those trade shows, avoid scheduling your event on those dates. When planning the layout of your trade show, make sure that the floor plan accommodates different types of booths and gives attendees enough space to walk from one exhibit to another. It should be easy for attendees to register and make their way around the facility. In addition, you’ll likely need carpeting, lighting, audio/visual equipment, and even some furniture to transform a basic venue into a lively trade show event. Get to know the coordinator at the venue where you will be hosting the show. He or she will play a key role in ensuring your event is set up properly to accommodate your needs and the needs of your exhibitors. He or she will work with you on pricing and serve as a resource to answer your questions. Determine floor layout, booth rental pricing, and pricing for other exhibiting services for your vendors. With effective trade show management and cost controls, shows can be opportunistic for the event sponsor, as well as exhibitors. Attracting vendors and attendees is critical to organizing and hosting a successful trade show. As you reach out to potential exhibitors in your marketing efforts, show these potential vendors how they would benefit from exhibiting at your trade show. Treat trade show promotion as a process rather than a single event. Much like you would promote the launch of a product, you must promote trade shows consistently over time in order to generate buzz. Marketing methods to attract vendors and attendees may include using direct mail, social media, telemarketing, email, print and broadcast advertising, public relations, and other online marketing tactics. In addition, feature the upcoming show on the event sponsor's website, in newsletters and other ongoing communication methods. Hosted-buyer program – In hosted-buyer programs, trade show organizers use a strict qualification process to ensure that buyers are highly qualified and motivated. The organizers cover the costs of attendance for those buyers, as they are more likely to register for appointments with exhibitors than non-hosted buyers. This model has worked successfully in Europe for years and is starting to take hold in North America. Hybrid events – Hybrid trade shows consist of both a face-to-face event and the virtual, live streaming of content to those who aren’t in attendance. Appointment show – Appointment shows guarantee that exhibitors and attendees will have short, face-to-face meetings with a specific number of people, similarly to speed dating. Each person receives an appointment schedule before the show begins. Private meeting rooms on the show floor – Meeting rooms on the show floor allow buyers and sellers to hold meetings and product reviews in private, which saves them time by eliminating the need for them to go offsite to have meetings during trade show hours.